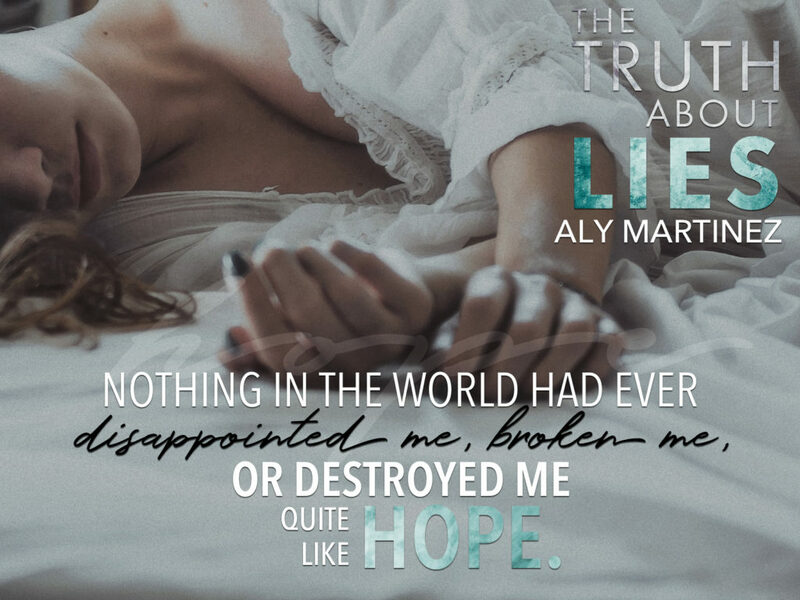 The Truth About Us by Aly Martinez ~ Release Blitz w/ Two 5 Star Reviews!!! WOW! I totally didn’t see that ending to this duet. The twists and intensity had me all kinds of messed up. Martinez nailed this duet. I love love love the characters. The story kept getting better and better as it went on. I am so sad this duet is complete. Definitely will be reading again. Excellent. Highly recommend. So many good things to say about this book but afraid I will spoil something so I am going to keep this review short and sweet. Read the damn books. You won’t be sorry you one clicked. Perfection! Cora’s life has been turned upside down by a man again. She’s heartbroken but determined to move forward. She’s about had it with all of the lies she’s been dealt in her lifetime. She kept telling herself that she didn’t need Penn to save her. But losing him felt like it was destroying her. 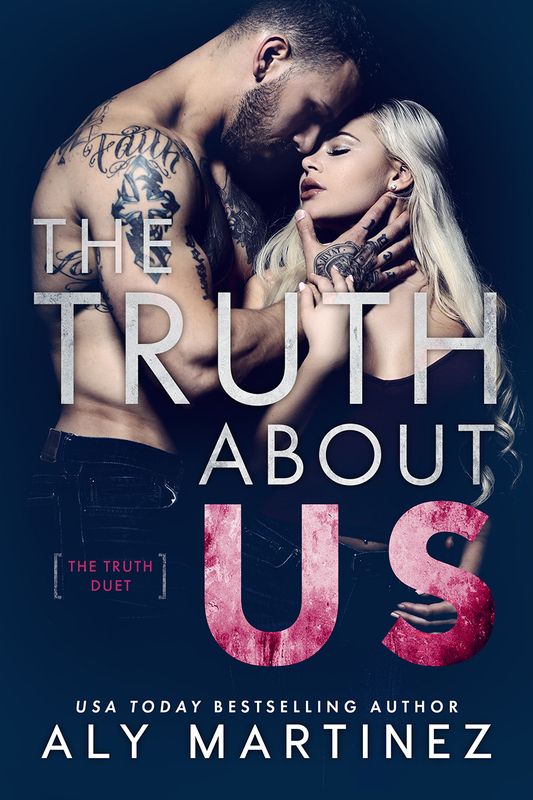 “…if I was being honest with myself, the shallow and heartless man driven by hate and pain, the liar who had manipulated his way into her bed, was all she’d ever known of me. And it ruined me that I had to tell her that. But I owed it to her. What a wild ride! Penn pretty much was willing to risk everything not only for revenge but to keep the diamond he found safe and away from harm. Every time I thought I had a feel for where this story was heading…it would take a turn I didn’t anticipate. And I loved it! Cora really was a smart, loyal, strong, caring woman. I fully felt her pain and grief but also her determination to move forward even when things didn’t quite fit together. This road to justice and happy ever after was full of bumps and sinkholes but the trip was totally worth it! 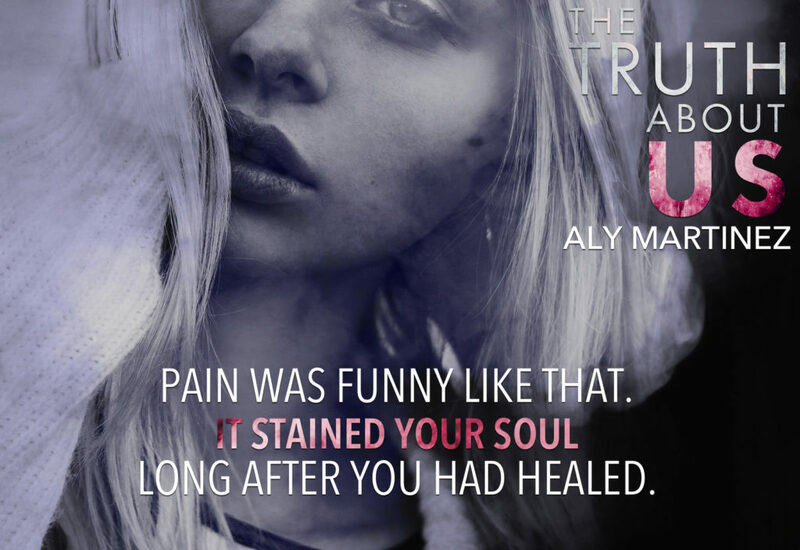 I’ve seriously never been disappointed with an Aly Martinez book. She always pulls forth so many emotions ever since I met her fighter brothers I’ve been hooked.